Services includes planning and design of technically sophisticated restaurants, private sector industrial buildings, office, manufacturing, and Warehouse projects. SrinSoft maintains a reputation for delivering exceptional BIM Architectural Design services to government, research, education, private sector, and industrial clients. The firm's extensive services ranges from the planning and design of technically sophisticated restaurants, private sector industrial buildings, office, manufacturing, and Warehouse projects. 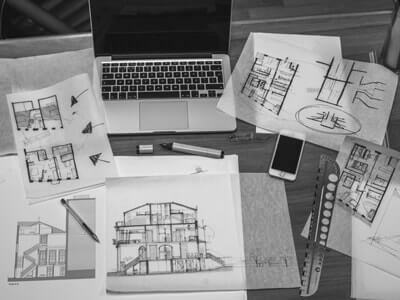 SrinSoft's architects are experienced at identifying client needs and program requirements and translating that knowledge into responsive design solutions. SrinSoft's design team consistently delivers functional, aesthetically pleasing, and sustainable solutions.